New Videos and CNN Footage includes six single-channel videos by Joel Holmberg. 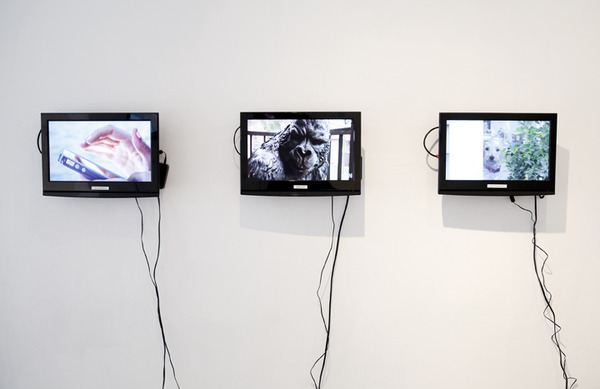 Each video contains either tactfully culled CNN Footage or “observational films” made by the artist. Both modes of video similarly adapt an immediacy with filming techniques. The camera is primarily concerned with documenting information than with creating an aesthetic object. In both instances, formal decisions are made on the fly with no time to second guess themselves. In these “observational films,” Holmberg focuses the camera long enough to reach a level of satisfaction or for the camera to gather enough information for the viewer to bear witness. While some documentary-style filmmakers can be labeled “film-essayists,” Holmberg’s brief quips are more aligned with the storytelling of local news. Join us November 17th for a “soft” opening to celebrate Joel Holmberg’s exhibition, New Videos and CNN Footage on view through December 31.